Traveling with a disability is not as hard as one may think, but it’s definitely different than traveling as a standard traveler. There are so many extra things to think about and plan for that it can be hard to know if you’re doing it the most efficient and easiest way. Some of your bags may fly for free. Almost all airlines allow people with disabilities to check one bag that contains medical necessities since these are absolutely necessary for your day-to-day living and health. This could include catheters, a shower chair, medication, etc. But beware — some airlines will make you open the bag, so don’t try to cheat the system! At any rate, this is a great way to save on travel costs. If your bag of medical necessities is overweight, the penalty fee could be waived as well. You may need to speak to a manager, but it’s worth it. 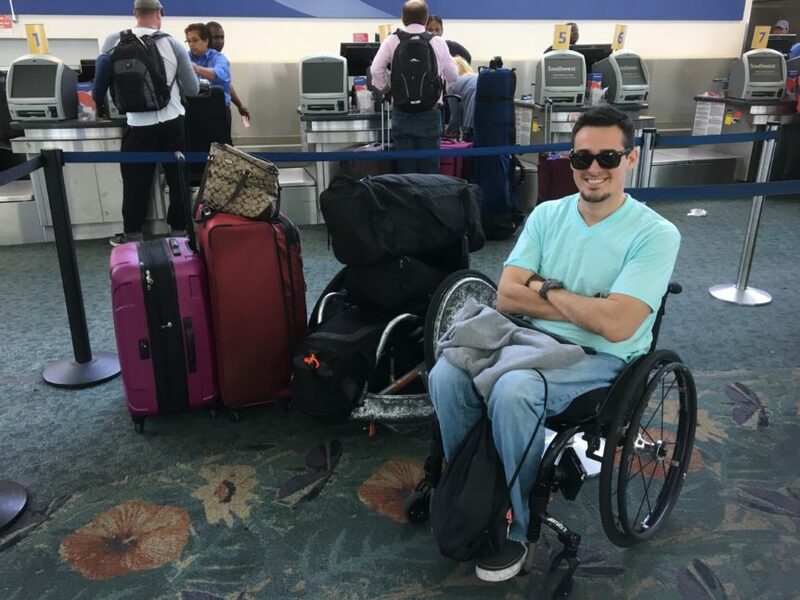 In addition, if you are bringing any extra wheelchairs with you, an airline must allow at least one chair checked in for free. Always plan ahead and be ready for the worst-case scenario. Whether you are figuratively handcuffed to your medical supplies, notoriously late for any and all things, or just have the worst luck in the world, it is always a good idea to plan ahead. For example, if you are reliant on medical supplies such as catheters, medication, or medical devices, consider packing extra in case your trip becomes unexpectedly longer. You may also want to consider dividing your supplies amongst different bags in case one of your bags with all your medical supplies gets lost in transit. If you tend to run late to things, arrive extra early at the airport since the TSA screening portion historically takes longer than it would for the average traveler. Lastly, if you have a really important medical device, you may just want to carry it with you rather than checking it in. Take a friend or make a friend. It’s no secret that sometimes having a disability can put some limitations on you. The truth is, having a traveling partner can make things so much easier when you encounter these small or large obstacles that would otherwise give you a headache if you were alone. Unfortunately, flying with a companion is not always an option. In these cases, I suggest making a friend! Most people are generally kind in nature, so don’t be afraid to ask for a helping hand if you need it! You’ll be surprised at how many people feel a sense of accomplishment just by offering or accepting to help you out when you need it. So that’s it! With these 3 tips in your back pocket, you are ready to go out there and travel the world! Visit www.accessiblevacationsblog.com for more information on all things traveling with a disability.